Mar 13: Herby, a port of my first game ever, has been released. 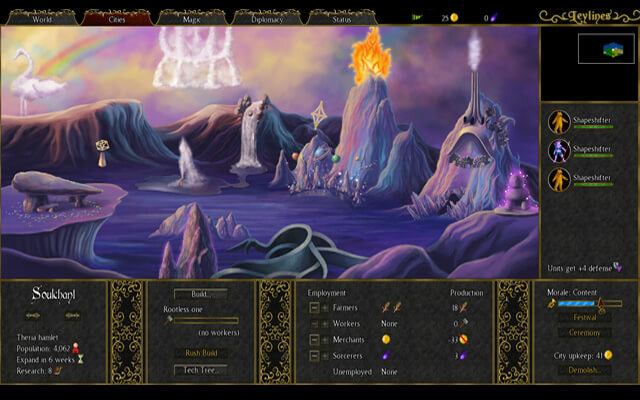 Jan 28: Leylines, the fantasy turn-based strategy game, has been updated to v1.3. Nov 19: Leylines, the fantasy turn-based strategy game, has been released. Aug 16: Oceanspirit Danish, a combat-based parody of Shakespeare's Hamlet, has been translated into German in v1.2. May 17: Errand, the young urban fantasy adventure, has been translated into Polish. Mar 24: A Tale of Two Kingdoms wins the AGS Award for best game of the year. Feb 15: META, the AGS meta-game, has been released on Steam. Feb 5: Heroine's Quest is covered in a book on the History of Computer RPGs. Feb 5: Beer!, the collection of minigames, has been released on Steam as v1.2. Jan 28: All our guides and walkthroughs are now also hosted on GameFaqs and NeoSeeker. Jan 3: Crystal Shard Adventure Bundle, Heroine's Quest, and Beer! have been released on Humble Bundle. Dec 21: HQ Developer Appreciation Package and ATOTK Soundtrack have been released. 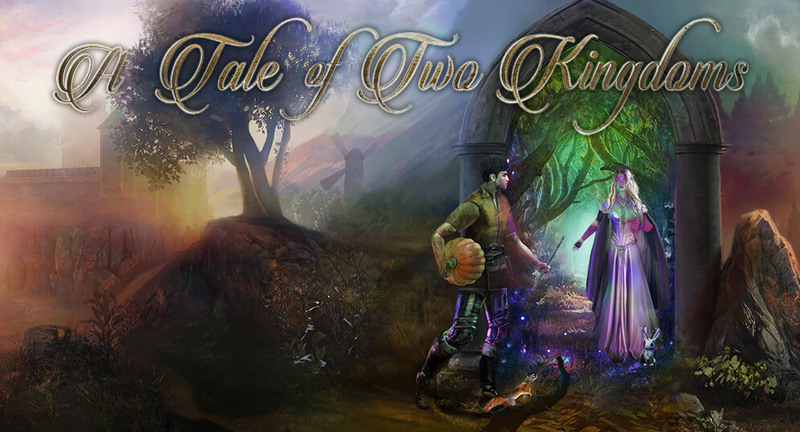 Dec 1: A Tale of Two Kingdoms, the epic fairy tale adventure, has been published on Fireflower. Oct 31: A Tale of Two Kingdoms: Deluxe Edition has been released on Steam, Humble Bundle, and Itch. Aug 23: Speedrun.com now has a section on Heroine's Quest. Jul 6: Heroine's Quest: The Herald of Ragnarok has been updated to v1.2.6, and translated into Spanish, French, and Italian. Jun 3: Starship Quasar and Larry Lotter (v2.1) have been translated into Spanish. May 10: META has been updated to v1.4. Apr 22: Heroine's Quest is included in the Top 50 Best Free Downloads by PC Gamer magazine! Mar 17: Oceanspirit Danish has been translated into Spanish. Feb 16: Sub Terra Draconis, the exciting action/puzzle game, is now listed on Steam Greenlight. Feb 14: Quest for Yrolg has been translated into Polish in v2.1. Feb 14: Errand has been translated into Russian in v1.5. Feb 11: A Tale of Two Kingdoms is now listed on Steam Greenlight. Jan 19: It's Cold Outside, a contest game written in one hour, has been released. Jan 8: Leylines, the fantasy turn-based strategy game, is now listed on Steam Greenlight. 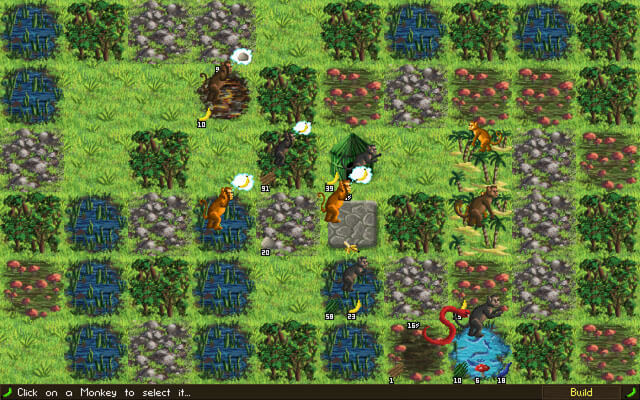 Jan 5: Monkeys to the Moon, the jungle-based real time strategy puzzle, has been updated to v1.1. Dec 17: Larry Lotter and Quest for Yrolg have been published on Itch.io and GameJolt. Dec 17: Heroine's Quest has been ported to Linux and translated into Russian in v1.2.3. Dec 15: The Crystal Shard Adventure Bundle has been released, including Larry Lotter v2.0 with Spanish and Russian, Quest for Yrolg v2.0 with Italian, Starship Quasar v2.3 with Dutch, Italian, and Polish; and Linux ports for all three games. Dec 9: Oceanspirit Danish has been ported to Linux. Dec 4: META has been ported to Linux in v1.3. Dec 3: Root of all Evil, the Reality On The Norm adventure game, has been ported to Linux in v1.2. Nov 27: Errand has been translated into Japanese and German and ported to Linux in v1.4. Oct 19: Starship Quasar, Heroine's Quest, and Beer! have been published on GameJolt. Oct 11: The Crystal Shard Adventure Bundle is now listed on Steam Greenlight. Sep 20: Infinite Monkeys, the MAGS anniversary adventure, has been translated into Portuguese and ported to Linux in v1.3. Aug 31: Monkeys to the Moon, a jungle-based real time strategy puzzle, has been released. Nov 8: Quest for Yrolg is played on line for the Extra Life charity. Sep 5: Summer Shards #3 Infinite Monkeys v1.2. Aug 30: Summer Shards #2: Oceanspirit Danish v1.1. Aug 22: Summer Shards #1: Beer! v1.1. Aug 16: Summer Shards has started; we'll release a game per week for as long as possible! Aug 2: Elissa, our lead artist, now has a Tumblr. Jul 20: Starship Quasar, Heroine's Quest, and Beer! have been published on Itch.io. 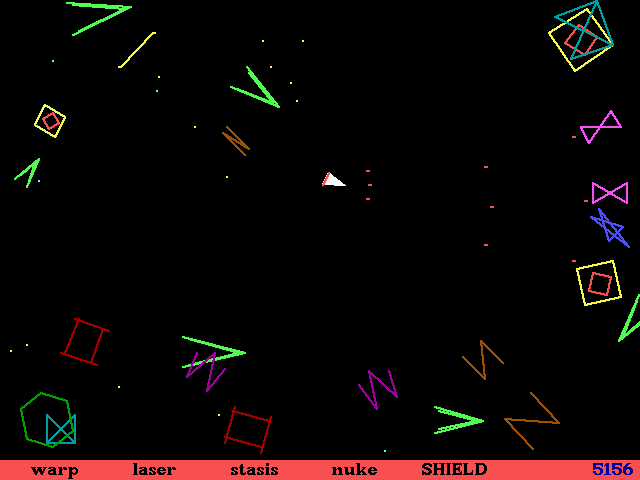 Apr 2: Starship Quasar has been published on the now-defunct AdventureGamers store. Mar 10: Heroine's Quest and Errand have been published on Fireflower. Mar 5: Starship Quasar has been published on the now-defunct Desura. Feb 2: META has been updated to v1.2. Jan 26: Errand has been published on Fireflower, including Spanish translation, as v1.3. Jan 21: Starship Quasar has been published on Fireflower, and has been translated into Portuguese and Russian in v2.0. Jan 19: Our website has been redesigned for our fifteenth anniversary! Jan 13: Heroine's Quest is voted fourth Best RPG of 2014 by RPG Codex! Jul 11: Heroine's Quest has been published on Desura. Jun 15: The second Bake Sale closes after raising $1121 from 73 donations. Jun 10: Our Patreon campaign is launched to support our future game design. May 10: RPG Codex ranks Heroine's Quest as the 69th Best Computer RPG of all time! 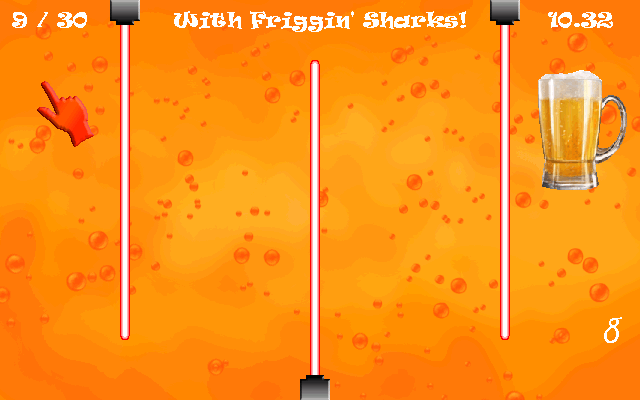 May 5: Beer!, a collection of fast-paced minigames, has been released for the second AGS Bake Sale. Apr 30: Oceanspirit Danish, a combat-based parody of Shakespeare's Hamlet, has been released. Mar 20: Heroine's Quest has been published on Steam as v1.2. Mar 9: Heroine's Quest wins the AGS Awards for best game, story, gameplay, background art, portrait art, animation, music, sound, puzzles, dialogue, and voice acting! Feb 26: Errand has been translated into Italian and Portuguese in v1.2. Feb 5: Heroine's Quest has been updated to v1.1. Jan 19: Heroine's Quest gets published on Steam. Jan 4: Another Let's Play video of Heroine's Quest has been released on YouTube. Dec 28: A Let's Play video of Heroine's Quest has been released on YouTube. 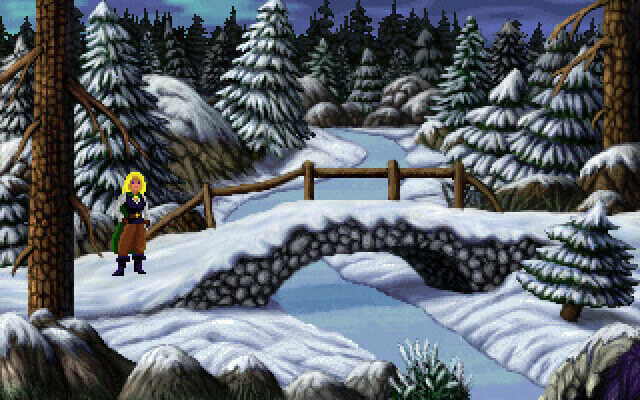 Dec 25: Heroine's Quest: The Herald of Ragnarok has been released. Jul 31: A voice preview trailer for Heroine's Quest has been released on YouTube. 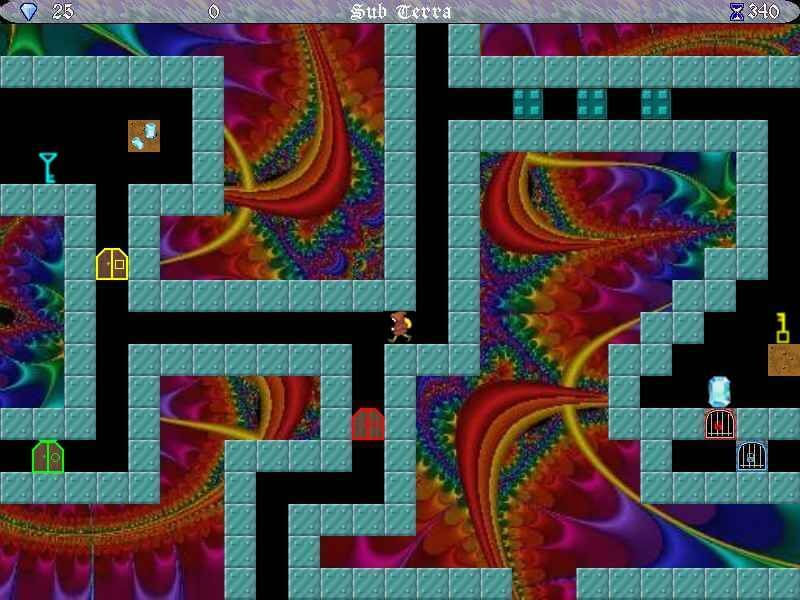 Jul 7: Draconis, a familiar-looking puzzle game, releases a small public demo. 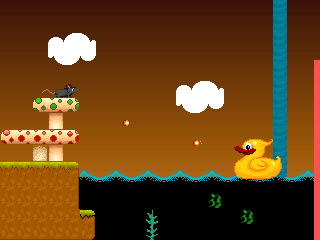 Mar 4: Indiana Rodent, the platform game, is now available as freeware in v1.1. Feb 23: The trailer for Heroine's Quest has been released on YouTube. Jan 31: Errand has been released with a voice pack in v1.1. Jan 23: A Let's Play video of Errand has been released on YouTube. Dec 21: Quest for Yrolg has been translated into Italian in v1.8. Dec 11: Larry Lotter has been translated into Italian in v1.7. Nov 5: Errand, a young urban fantasy adventure, has been released. May 3: King's Quest III (not +) is nominated for AGS Awards for best programming and best gameplay. Apr 23: Starship Quasar now has a voice pack and has been translated into French and German in v1.1. Mar 1: The AGS Bake Sale closes after raising $4198 for charity from 1074 donations. Feb 11: A Let's Play video of Indiana Rodent has been released on YouTube. Feb 10: Indiana Rodent appears on TV, courtesy of Reviews on the Run. Jan 21: A Tale of Two Kingdoms has been translated into Hungarian in v1.3. Jan 20: Indiana Rodent has been released as part of the AGS Bake Sale. Jan 18: Our website is blacked out as part of the Strike Against SOPA. Dec 29: Indiana Rodent, the platform game, is available as a one-level demo of the full game. 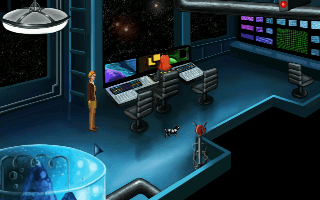 Dec 13: Starship Quasar, a character-based space adventure, has been released. Nov 29: Dennis Dennis Revolution, a rhythm game in AGS, has been released. 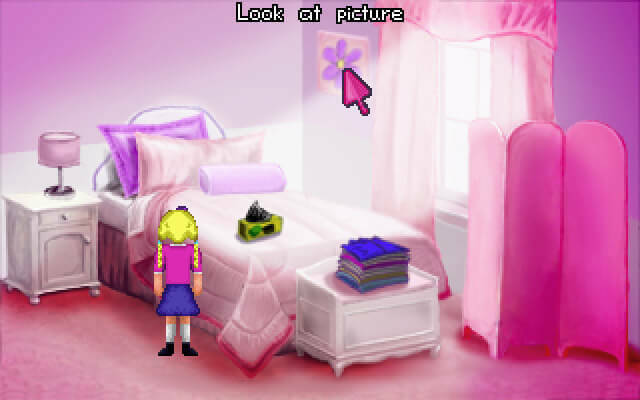 Aug 7: Indiana Rodent has a public beta version, called One Room One Cheese. Jul 27: Starship Quasar releases a public beta version. Jul 13: Larry Lotter has been translated into Hungarian in v1.6. Jul 1: Quest for Yrolg has been translated into Hungarian and into Dutch in v1.7. Jun 12: Our website has been redesigned for our tenth anniversary! Feb 18: A Let's Play video of A Tale of Two Kingdoms has been started on YouTube. Nov 14: Quest for Yrolg has been translated into Turkish in v1.6. May 15: Cup-Man, a trial for a pac-man game, has been released. May 13: Vector Vendetta, the frantic shooting game, has been updated to v2.3. Mar 20: Heroine's Quest officially becomes a Crystal Shard game. Feb 23: Quest for Yrolg has been translated into German in v1.5. Feb 15: Infinite Monkeys wins third place for Adventure Treff's Fanadventure of the Year. 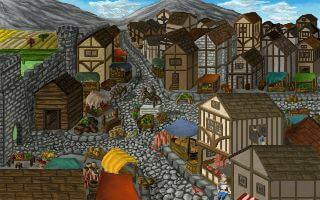 Jan 10: Leylines, the fantasy turn-based strategy game, has been updated to v2.2. Jan 7: Larry Lotter has been translated into German in v1.5. Dec 9: Infinite Monkeys has been translated into German in v1.1. Oct 12: Larry Lotter has been translated into Brazilian Portuguese in v1.4. Oct 5: Vector Vendetta has been updated to v2.2. Oct 3: Quest for Yrolg has been translated into Portuguese in v1.4. Sep 29: Leylines v2.0, the expanded edition, has been released. Sep 26: SubTerra and SubTerra 2, the addictive action/puzzle games, are once again released for Linux. Sep 16: Larry Lotter has been translated into Spanish in v1.3. Sep 3: Quest for Yrolg has been translated into Spanish in v1.3, and now has a Czech voice pack. Aug 2: Vector Vendetta has been updated to the Vengeance Version, v2.0. Jun 17: Root of all Evil has been updated to v1.1. Jun 5: Quest for Yrolg, has been translated into French and Czech in v1.2. Apr 8: Larry Lotter has been translated into French in v1.2. Apr 5: SubTerra and SubTerra 2 have been updated to v2.6 and v1.4, respectively. Feb 11: Little Girl in Underland is nominated for an AGS award for best voice acting. 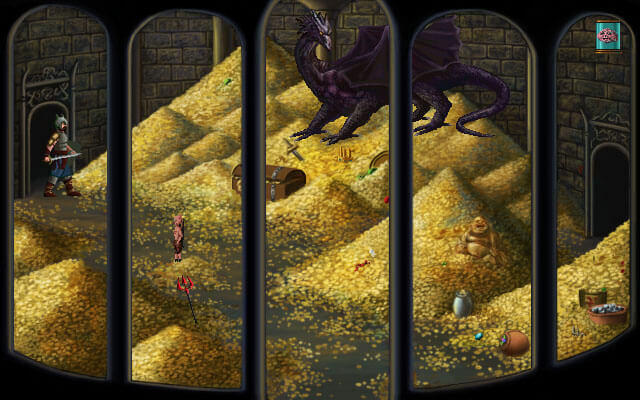 Dec 21: Quest for Yrolg has been released with a voice pack in v1.1. Dec 16: A Tale of Two Kingdoms now comes with a jukebox application. Nov 16: Vector Vendetta has been updated to v1.1. Sep 25: KATA, the surrealistic sequel to META, has been released. Sep 2: Quest for Yrolg gets second place for S7's Game of the Year 2008. Jul 25: Vector Vendetta, a frantic shooting game, has been released. Jun 16: Quest for Yrolg, an adventure game with a twist, has been released. Mar 25: All download the Hypnotoad! Feb 17: A Tale of Two Kingdoms wins the AGS Awards for best animation, sound, puzzles, and manual. Feb 3: SubTerra and SubTerra 2 have been updated to v2.5 and v1.3, respectively. Jan 12: Games for Windows magazine has a feature on A Tale of Two Kingdoms. Jan 3: GamePro magazine has a feature on A Tale of Two Kingdoms. Jan 2: A Tale of Two Kingdoms wins S7's Game of the Year award for 2007. Dec 1: SubTerra appears on TV, courtesy of Locomotion Films. Nov 30: Crystal Shard participates in the 2007 Adventure Developers Online Conference. Nov 24: SubTerra 2 has been updated to v1.2. Nov 18: Larry Lotter has been released with a voice pack in v1.1. Nov 1: PC Zone magazine names A Tale of Two Kingdoms the Freeware Game of the Month. Sep 24: Leylines expanded edition is available as a beta version. Sep 21: Root of all Evil, an adventure game set in Reality On The Norm, has been released. Sep 1: Pixel Hunt, a short joke game, has been released. 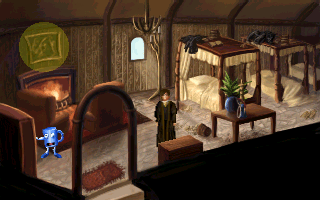 Aug 28: A Tale of Two Kingdoms has been updated to v1.2. Aug 25: Adventure Europe offers to host A Tale of Two Kingdoms. Aug 12: Our website has been redesigned into a more modern curvy interface. Jul 29: Quest Fighter 2, a celebrity deathmatch of adventure protagonists, has been released. Jul 15: A Tale of Two Kingdoms, an epic fairy tale adventure game, has been released. Jul 10: CGempire offers to host A Tale of Two Kingdoms. Jan 24: SubTerra 2 has been updated to v1.1. Dec 31: A Tale of Two Kingdoms shows a public demo of the introduction sequence. Dec 28: SubTerra 2, a devious action/puzzle game, has been released. 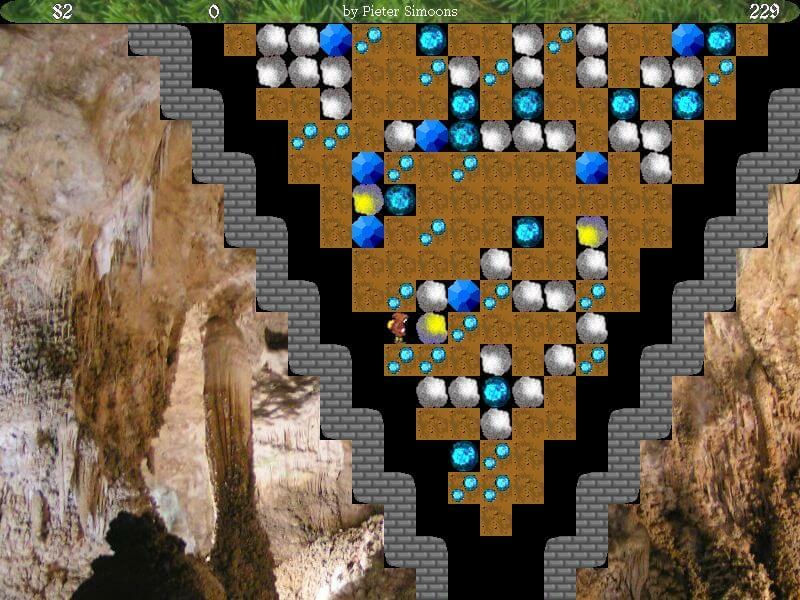 Nov 28: Crystal Shard participates in the 2006 Adventure Developers Online Conference. Nov 21: Larry Lotter and the Test of Time has been released. Aug 29: META, the AGS meta-game, has been updated to v1.1. Jun 30: The MegaVerb GUI, an add-on for AGS, has been released. Jun 30: Infinite Monkeys, a graphic adventure game for the 5-year MAGS anniversary, has been released. Apr 14: Our website on Crystalshard.net has been redesigned. Apr 1: Quest Fighter, a celebrity deathmatch of adventure protagonists, has been released by Mortal Wombat. Mar 13: A Tale of Two Kingdoms has a trailer movie available. Mar 1: Legend of Fair Spring releases its third demo. Dec 8: META, the AGS meta-game, has been released. Nov 24: MOTLPAA, an experiment in 3-d mazes, has been released. Jun 8: SubTerra 2 is available as a playable beta version including the level editor. May 12: SubTerra is re-released as promotion for Caravel Games. May 10: Caravel Games offers to host us, on our own domain crystalshard.net. Apr 1: Hero of Infamous Kingdoms, an April Fools joke, has been released. Feb 4: Legend of Fair Spring releases its second demo. Dec 29: A Tale of Two Kingdoms is available as a three-room public demo. Dec 28: King's Quest 2½ is officially canceled. Dec 23: Caitlyn's Destiny is available as a playable demo version. Dec 8: Legend of Fair Spring releases its first demo. Oct 23: King's Quest III+ has its last update and is cancelled. Oct 13: Our website moves to Geocities and has been redesigned. Aug 6: SubTerra is now available as freeware. Jul 27: King's Quest III+ is available as a beta version. Jun 8: Our website moves to the now-defunct Binary People. Apr 20: King's Quest 2½ is available as a short demo. Apr 19: Radiant FontEdit, a tool for AGS, has been released. Mar 22: Gamethoughts offers to publish Leylines. Feb 24: Leylines has been updated to v1.3. Dec 28: Leylines, a fantasy turn-based strategy game, has been released. Dec 19: Binary People offers to publish SubTerra and Leylines. Dec 1: SubTerra has been updated to v2.2. Nov 22: C-Flat, a simple scripting language, has been released. Nov 22: Our website on Liacs has been redesigned. Aug 3: Hollow Earth is officially cancelled. Apr 27: Home of the Underdogs gives a Top Dog award to SubTerra. Apr 1: SubTerra has been updated to the Remastered Edition, v2.0. Mar 1: SubTerra is now available for Linux. Feb 2: Home of the Underdogs gives a Top Dog award to Block-O-Mania. Jul 26: Leylines is available as a public alpha version. Jul 16: SubTerra has been updated to v1.3. Feb 28: The prototypical Crystal Shard website launches on Liacs. Nov 27: SubTerra, an exciting action/puzzle game, has been released. Nov 16: Spiderweb Software offers to publish SubTerra. 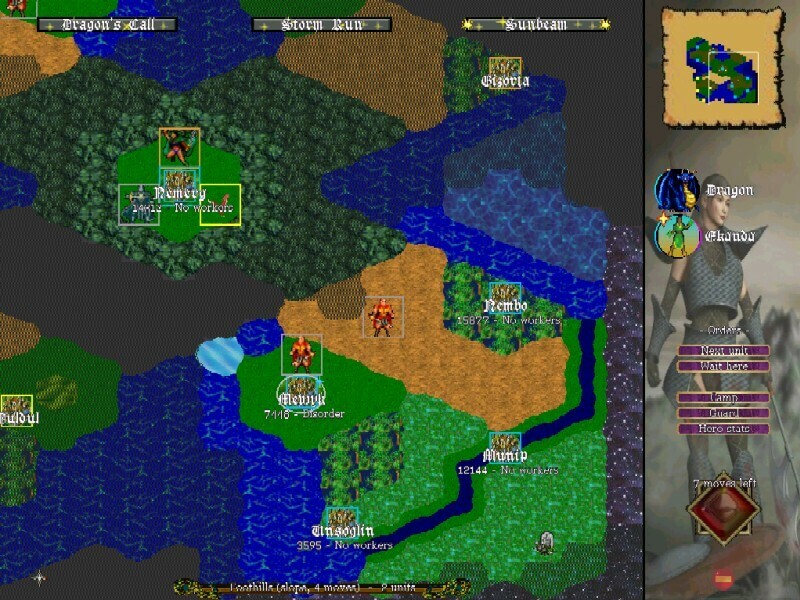 2000: Hollow Earth, the predecessor to Leylines, is available as a short playable demo. 2000: PjsGfx, a graphical library for DOS, has been released in November. 2000: Homeland, a role-playing game, has been released by DragonLore on June 15th. 1999: The Creativity Abounds website launches on Liacs. 1999: Spöl, a promotional card game, has been released. 1999: Simplex, our pen-and-paper role playing system, has been released. 1998: ADVance, a text adventure engine, has been released. 1996: ElfQuest, an RPG based on the popular comic, is available as a short demo game. 1995: My original Archmage page launches on Geocities, then called GeoPages. 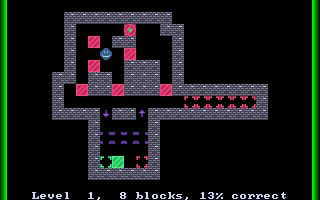 1989: Block-O-Mania, a complex puzzle game, has been released over BBS.